google-site-verification: google8d8438b214143f71.html Beautiful Quotes: heart and soul. 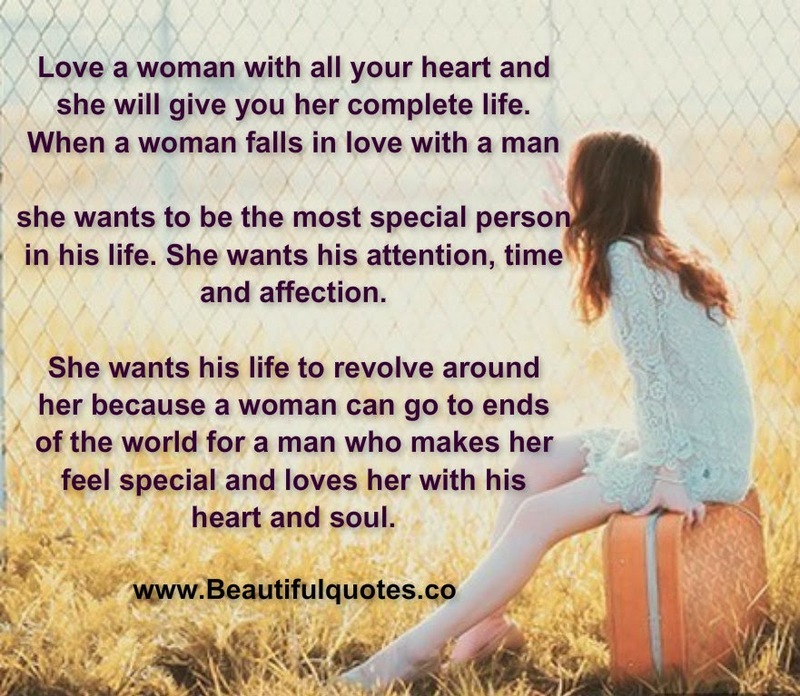 Love a woman with all your heart and she will give you her complete life. When a woman falls in love with a man she wants to be the most special person in his life. She wants his attention, time and affection. She wants his life to revolve around her because a woman can go to ends of the world for a man who makes her feel special and loves her with his heart and soul.